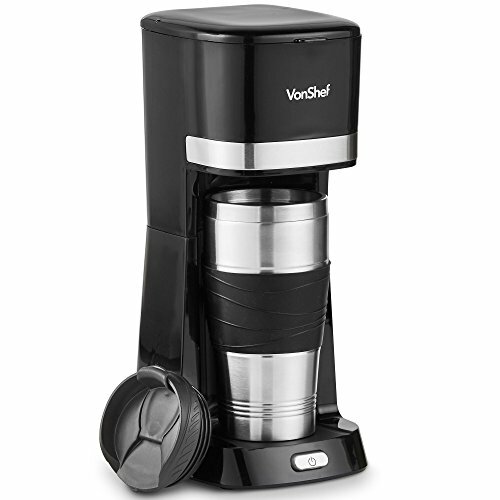 VonShef One Cup Coffee Maker. 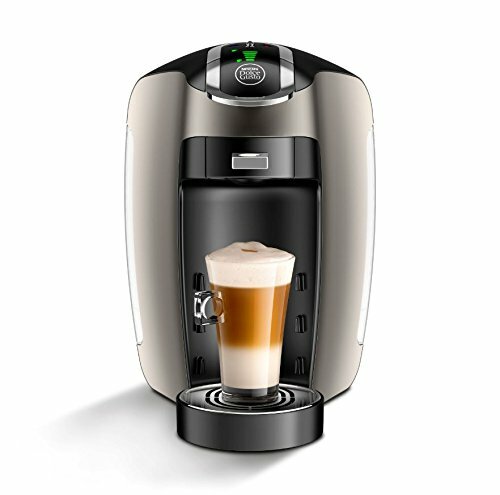 Ideal for those always on-the-go – don’t waste time waiting for a full pot to brew, the One Cup Coffee Machine lets you get your caffeine fix quickly and conveniently. 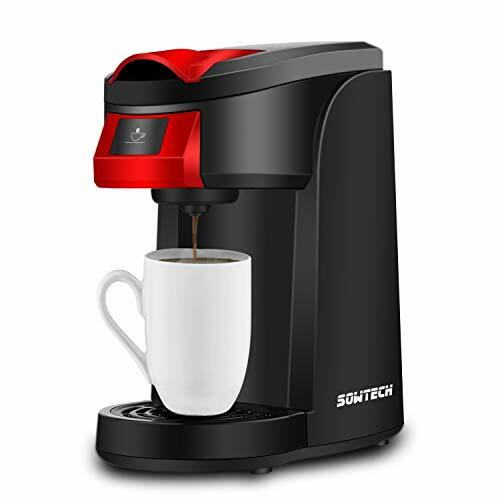 Thanks to its compact design, this versatile machine is perfect for use at home, at work, or on holiday – so you’ll never be far from your favorite coffee. Smart black and stainless steel colourway makes it an attractive countertop addition. 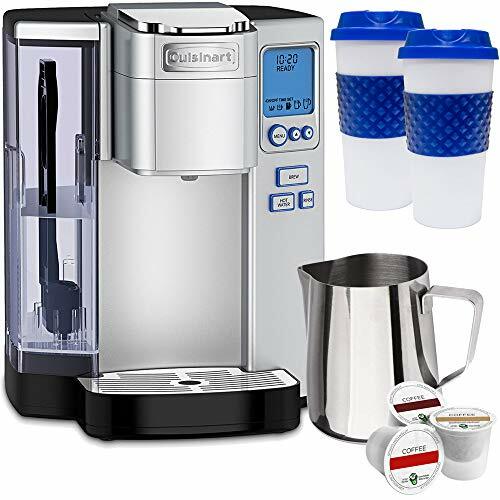 The Coffee Maker comes with a handy 14oz travel mug with silicone grip and lid, so you can enjoy warm coffee on the move. Fits into most car cup holders. 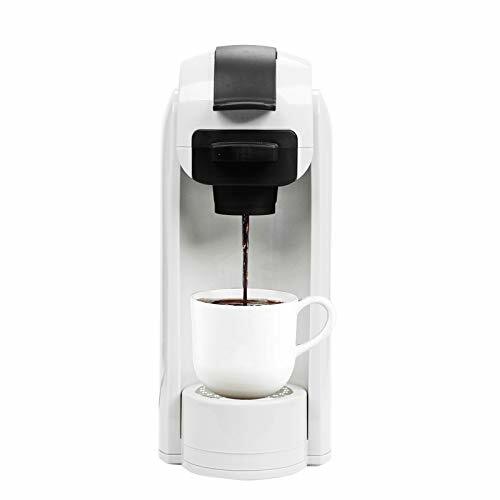 Easy to use one-touch operation dispenses coffee directly into the mug. Simply fill the water tank, add ground coffee to the reusable mesh filter, power up and piping hot coffee will be dispensed in minutes. The handy indicator light lets you know when the machine is in use. 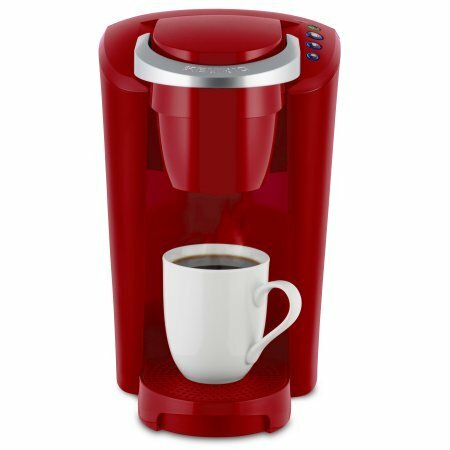 Thanks to the removable, washable filter, you can enjoy your favorite ground coffee time and time again. There’s no need to spend on expensive paper filters, making this machine a clever, long-lasting investment. FAST: Compact personal coffee maker. 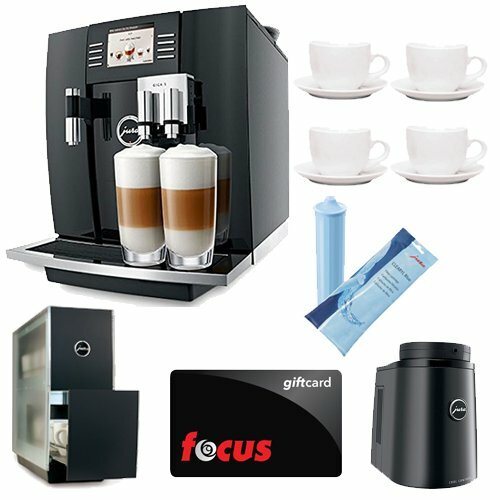 The fast, convenient and cost-effective machine that makes one cup of delicious coffee in minutes. 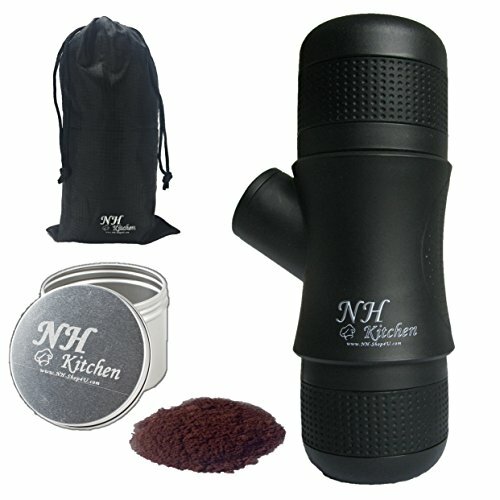 14 OUNCE CAPACITY: Generously sized 14 ounce travel mug with silicone grip and lid fits into most car cup holders. Ideal for on-the-go travel. REUSABLE: Re-usable and easy to clean mesh filter. No need to use disposable paper filters. EASY USE: Simple one touch operation dispenses coffee directly into the mug. 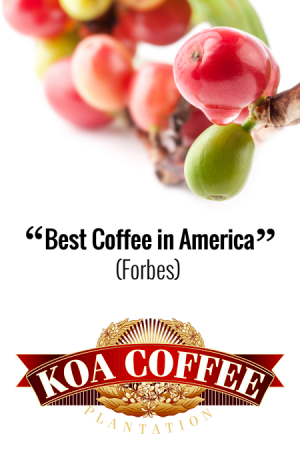 Perfect for morning, weekday coffees. KEEP WARM: Stainless steel inner wall for heat retention and enhanced safety with automatic shut off function.